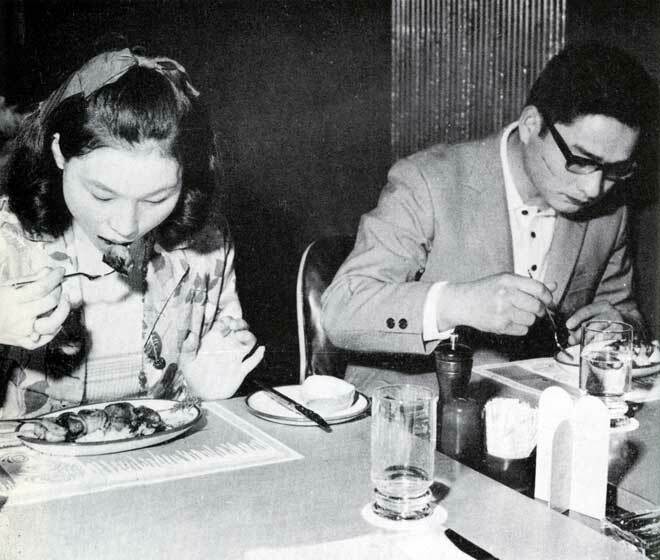 Japanese diners taste lamb, probably for the first time, at the Osaka Expo 70. With the United Kingdom expected to enter the EEC (now EU) New Zealand was prompted to look for new markets for its traditional produce. Reference: Dai Hayward, Golden jubilee: the story of the first fifty years of the New Zealand Meat Producers Board. Wellington: Universal Printers, 1972.